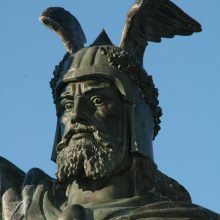 Hermann the Cheruscan, a hero who led Germanic tribes against the Roman Legions in the first century A. 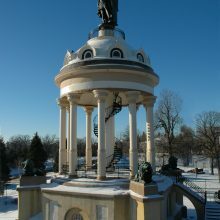 D, is memorialized, along with German Americans, in New Ulm, Minnesota. 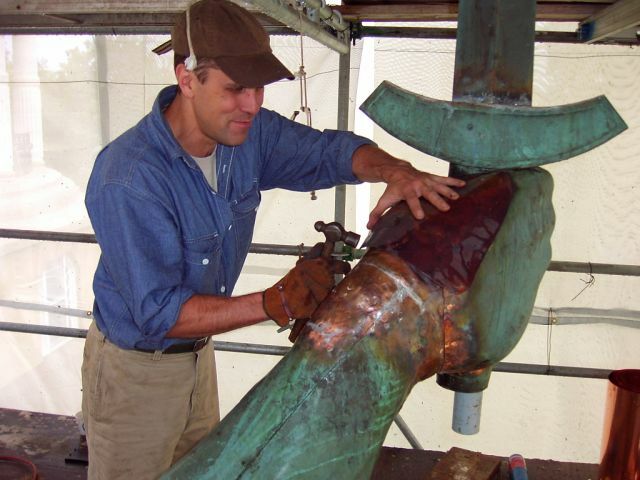 The 32 foot tall copper sculpture, fabricated by the W. H. Mullins Co. Of Salem, Ohio, is the largest copper statue created in the United States and is second in size only to the Statue of Liberty in New York Harbor. 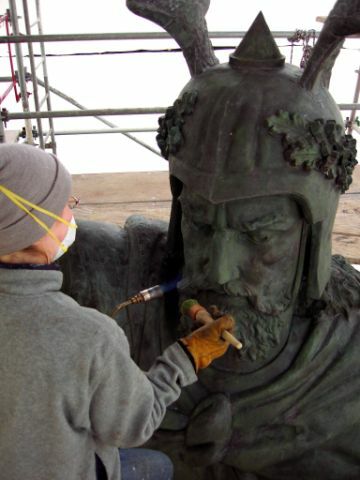 In 2004, we were awarded the contract to conserve the sculpture. 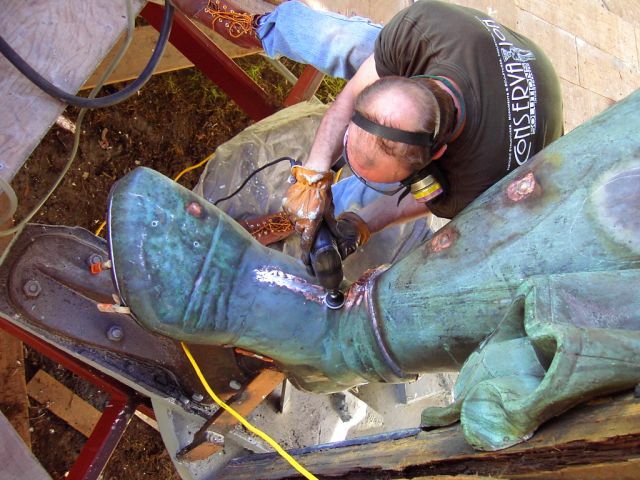 The work entailed extensive metal repairs, reconfiguration, and replication of missing elements. 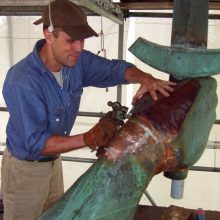 Because of the extensive nature of the work, the sculpture and its base were first removed to the ground and completely scaffolded. 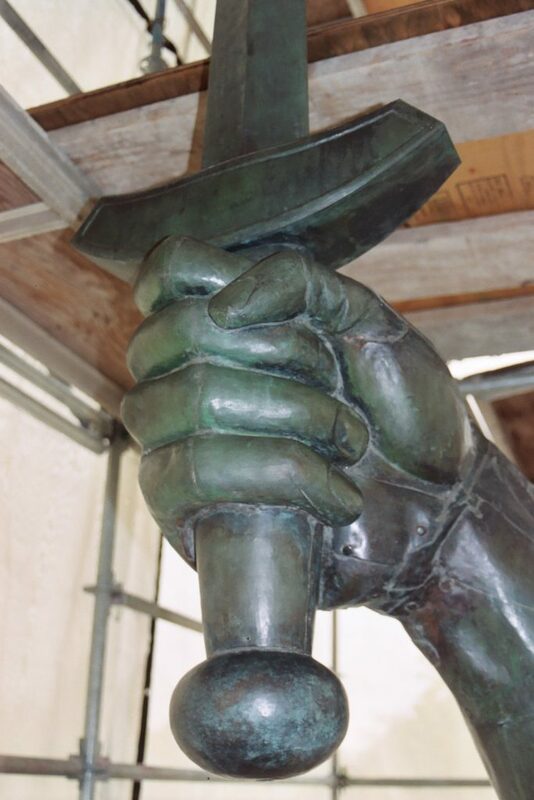 The internal steel armature was repaired, reinforced with new ironwork, and coated for long-term protection. 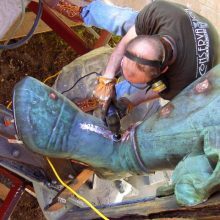 Previous inappropriate repairs, numerous deformations, bullet holes, stress cracks, open seams, and severely damaged elements were removed and/or repaired by skilled coppersmiths. 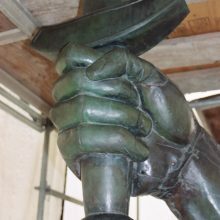 The Roman shield and helmet beneath the left foot were substantially re-created and reconfigured to restore the base to its original design. 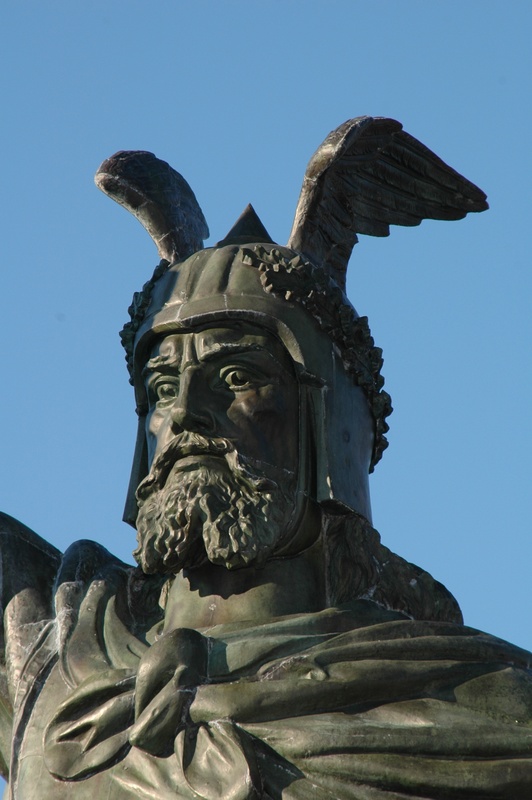 Other lost elements, including oak leaves on Hermann’s helmet, the chain at his waist and his right foot, were also re-created using traditional repoussé techniques. 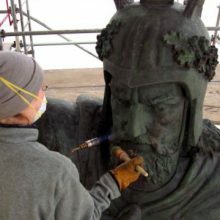 Finally, the entire sculpture was repatinated to restore a visual cohesiveness to the figure. 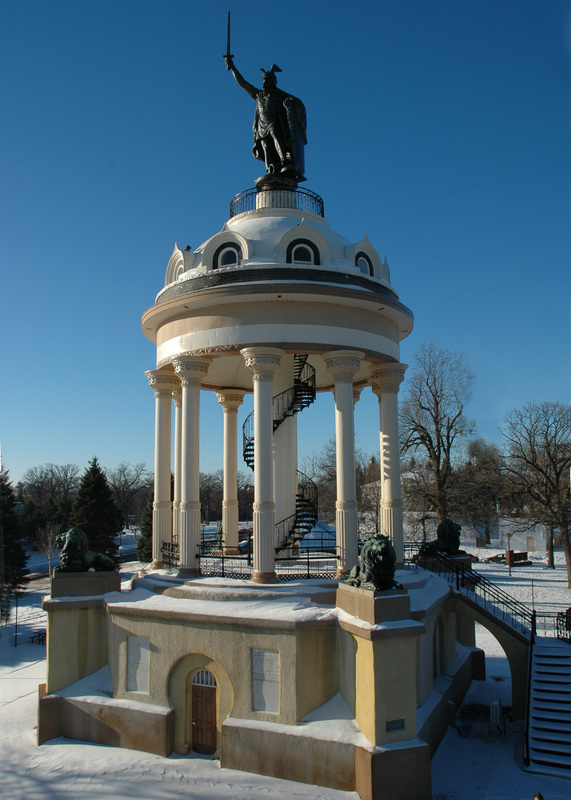 Upon the completion of work, the town returned Hermann to his perch atop the Hermann Heights Monument.